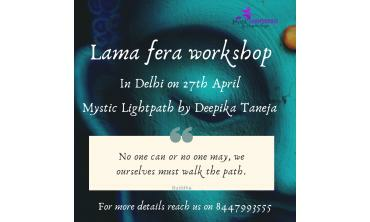 Lama means anyone who follows philosophy of Buddha, and Fera means healing around body with energy of Buddha. This method of healing has been practiced by Lamas in Tibet since ancient times. . . .
Quick Overview Lama Fera healing is a powerful Buddhist Healing technique used by the Tibetan Lamas using powerful symbols to heal all aspects of lif. . .